I suggested that what is needed is a quick, efficient, effective system for a parent who believes that the other parent is abusing substances to have immediate access to the Court, in an effort to provide a mechanism to immediately stop the bad acts. I pointed out that we do this when there's violence alleged, in that in New Jersey, we have the Prevention of Domestic Violence Act, which allows someone to go to court, with no notice and immediately, try to obtain a temporary restraining order. This is part two of a two-part article. In this article, I suggest that we should have a similar system in place for those frequent situations where the parent-child bond is threatened by one parent denying the other parent access to a child. I pointed out in the previous article that just as there are judges, hearing officers, social workers, and related professionals available daily to assist someone who feels that their safety is endangered, we should have a similar system with similar, predictable procedures and results available in those situations where a child is allegedly endangered by a parents substance-abuse. We need to be able to quickly and properly deal with situations where the priceless bond between a child and a parent is being destroyed by the immediate bad conduct of the other parent. I believe that we should and must come up with a similar system so that a parent can come to court with little or no notice and get immediate protection for the parent-child relationship. We have a provision known as an order to show cause which can be used in some limited circumstances, but in my experience, many judges over the last few years have become reluctant to consider most orders to show cause, thereby leaving the vast majority of people who feel that they have a crisis out in the cold -- essentially because they must then file a motion, which takes usually about a month for a judge to decide. That is way too long in some of these cases. The bond between a parent and a child is a priceless, fragile one. It can easily and quickly be irreparably ruptured by the intentional or negligent bad acts of the other parent. The present system works only when the particular judge is sensitive to this reality. 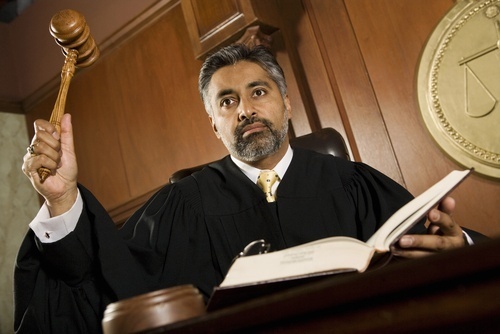 Some judges are but an increasingly large number of judges are unfortunately not. Let's create a new statute that will allow a parent to have an immediate hearing when access to a child is being denied improperly.